The Rule of Threes: Do celebrities die in trios? 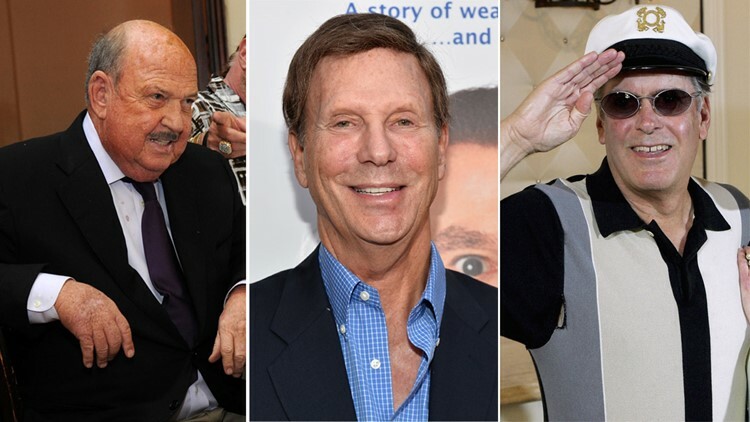 We lost three celebrities Wednesday. How often has it happened before? Pro wrestling announcer "Mean Gene" Okerlund. Comedian Bob Einstein. Musician Daryl Dragon of The Captain and Tennile. They all died Wednesday, and all were 76 years old. There's an old saying about celebrities dying in threes, but does it really happen often? We checked with Legacy.com, a website for obituaries and memorials, and found some celebrities died on the same day or within a couple of days of each other. In January 2016, "Harry Potter" actor Alan Rickman and rock legend David Bowie and Glenn Frey of the Eagles died within eight days of each other. Also in 2016, between April 17 and 21, we lost "Everybody Loves Raymond" actress Doris Roberts, former pro wrestler Chyna and music icon Prince. Also in 2016, singer George Michael died on Christmas Day, followed by "Star Wars" actress Carrie Fisher on Dec. 27 and her mother Debbie Reynolds a day later. "Tonight Show" co-host Ed McMahon died on June 23, 2009, followed two days later by King of Pop Michael Jackson and actress Farrah Fawcett. 1960s TV icons Don Knotts and Dennis Weaver died on Feb. 24, 2006, followed the next day by "A Christmas Story" dad Darren McGavin. Also in 2006, soul legend James Brown died on Christmas Day, followed by former President Gerald Ford the next day and dictator Saddam Hussein on Dec. 30. On Nov. 22, 1963, the assassination of President John F. Kennedy overshadowed two other deaths that happened the same day: authors C.S. Lewis and Aldous Huxley. On Feb. 3, 1959, also known as "The Day the Music Died," musicians Buddy Holly, Ritchie Valens and J.P. Richardson, aka The Big Bopper, died in a plane crash. But does it really happen that often? In 2014, The New York Times looked into the topic and concluded it doesn't, chalking it up to the human desire to find patterns in nature.